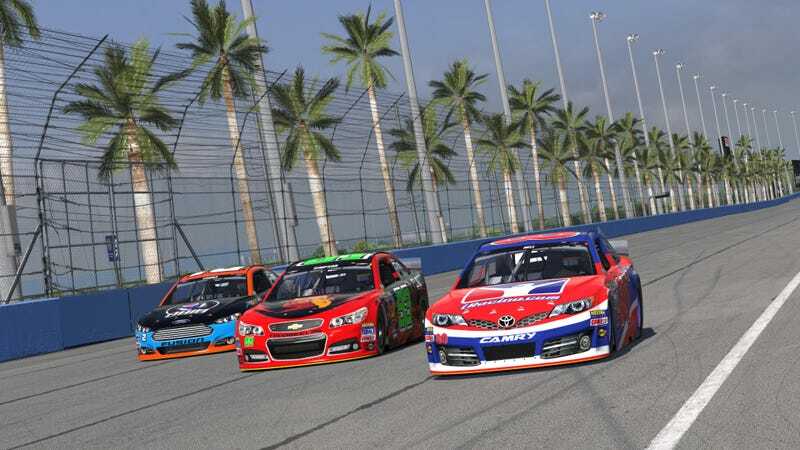 Former NASCAR and Formula 1 racer Scott Speed has been suspended from popular simulation racing game iRacing after footage of him attempting to intentionally crash into other players surfaced. Speed confirmed to The Drive that he’s been suspended from the game for actions captured in a Twitch clip from streamer Jake “YTBigz” Hewlett. This is not real life, it’s a game. The penalty for my action if protested against, is a suspension, which I accept[ed] and received. I personally wouldn’t feel like a man protesting a guy who I just accidentally wrecked out of the lead for returning the favor. But that’s me, and I understand that thinking is not treating iRacing with the appropriate amount of respect and is wrong. For that I sincerely apologize. Two days ago, Speed also listed a three-monitor racing setup on Facebook Marketplace, which sold for $7,500.